To bring your creative vision to life, Nikon D7200, a best of DSLR cameras featuring a powerful 24.2 megapixel DX- format CMOS sensor and is powered by new EXPEED 4 image processor. The high definition Nikon D7200 gives you autofocus sensor module with 51 precise focus points and metering system. A film of FULL HD 1080/60p can be captured in 1.3x format. Automatic exposure is possible with the time-lapse shooting for up to 9,999 consecutive frames. The powerful image quality ISO 25,600 is maintained for amazing low-light images. The ISO can expand up to the range BW1 (51,000) to BW2 (102,400) for monochromatic photos. D7200 DSLR adjusts automatically to the proper exposure because of the M mode with automatic ISO sensitivity check. The improved buffer size can let you capture 100 consecutive shots at 6 frames per second. The dimensions of 5.3 x 4.2 x 3.0 inches with the much wider screen size 3.2 inches presents clarity and enhanced distinctness under bright spots on the monitor. The built-in Wi-Fi and NFC capability allows to quickly transfer your photos and videos from Nikon D7200 to the smartphone or tablet. The powerful Rechargeable Li-ion battery is energy efficient EN-EL15 which delivers approx. 1,110 images and 80 minutes of video. In addition to perfect image benefits, the Nikon D7200 also incorporates1229k dot LCD monitor, dual SD Card slots where you have a capacity of capturing hundreds of shots and optional ME-W1 Wireless microphone to record any monaural audio. The best of All-in-one zoom lens for D7200 is amazing with the feature to beautifully capture anything- landscape, stills, wildlife, portraits, kids, close-ups, events, and interiors. This amazing telephoto zoom lens weighs less than the Nikon 18-200mm f/3.5-5.6G VR II. The performance is outstanding. It is extremely versatile and have a fast, quite autofocus system that minimizes the noise of the camera while recording videos. It is the best choice if you want to pick only one lens for Nikon D7200. The popular Nikon 18-200mm VR II was the leading of all-in-one lens. The sharpness was excellent with a wide end for DX-Format cameras. Well it doesn’t have enough types of telephoto photography but for use as all-in-one workaround, Nikon 18-200mm f/3.5-5.6G VR II is an intriguing option. Also it’s heavier and have shorter zoom than Nikon 18-300mm VR. The Nikon 40mm f/2.8 Micro is the right choice for non-moving subjects that can easily be captured. Including general close-ups, flower, food, collectables, copy photography, product, portraits and more. It’s easy, sharp inexpensive and small enough to be carried everywhere. The best macro lens for Nikon D7200 is Nikon 105mm f/2.8G VR Micro. Especially the close-ups and portraiture work is amazing for its sharpness, silent AF and ease of use. The enhanced image quality is exceptional with medium telephoto Macro lense. It is the world’s first Macro Lense featuring Silent Wave Motor (SWM) and Vibration Reduction (VR)and beautiful bokeh, versatile for all photography situations. The VR system gives a three shutter speed and maintains the sharpness even in the low-light. The focal length is 157.5mm when used with APS-C size sensor. At this focal length of 1.4G 50mm, the FX Lens can be used for full cameras. The quick and sharp focus is accurate with almost no distortion. The Nikon 50mm f/1.4 is highly recommended for the portrait shoots. It is an ideal lens for capturing the portraits. For general photography and traveling it is a superb optical formula with ultra-fast f/1.4 maximum eye. Nikon 85mm f/1.8G lens provides superb high quality images and high-end portraits with Nikon IF (Internal Focus) technology. It gives you sharp and quiet autofocus at all aperture. It’s a good investment for DX and FX and a beautiful bokeh to boot. It gives you amazing results in low-light, head and shoulder portraits, and for stills and HD videos. The high quality Sigma 35mm f/1.4 Dg HSM Art is a must ho have in your bag. The prime wide angled lens perfectly designed for Nikon DSLR Cameras. It gets 89% overall score and Gold Award from the expert of DPReview. It provides you quick and accurate results from its fast floating inner focusing system. For professional and discerning photographers Sigma 35mm with f/1.4 maximum apertures is a BEST choice. The light-weight, compact and best quality lens is Nikon 35mm f/1.8G, which gives you high resolution image and picture quality. It is much affordable with the best features to control distortions and aberrations of any kind. With f/1.8 it is quiet perfect for the low-light photography, traveling, portraits and street photography. The highly recommended Sigma 18-35mm f/1.8 DC HSM Art lens for your Nikon D7200. It is a new benchmark in photographic history. The Sigma 18-35mm f/1.8 DC HSM Art is the very first wide-angle zoom lens that can approach to f/1.8 maximum apertures. Including landscapes, stills, portraits, close-ups and causal shots. It also has Hyper Sonic Motor (HSM) that make sure the smooth and fast autofocusing. Nikon 10-24mm f/3.5-4.5D ED is Nikon’s best DX format wide-angle lens. The picture quality is much sharper with a wide range than the other lenses. It offers two technologies that are Nikon’s Silent Wave Motor (SWM) and Internal Focus (IF). Both these things offers to focusing up to 0.8 feet. Nikon 10-24mm lens captures admirable colors and contrasts for best landscape and architecture photography. The zoom range of this lens is equivalent to 15-36mm on a 35mm camera and covers all the focus lengths to from ultra-wide to a normal field-view. Tokina 14-20mm f/2.0 AT-X Pro DX is the fastest lens which captures extremely precise images. The f/2.0 fast aperture lens makes the viewing, autofocusing and shooting possible in the low-light. The f/2.0 aperture is equivalent to 21-30mm zoom range. It is the super-bright and the fastest lens ever made by Tokina. Another great made by Tokina is Tokina 11-16mm f/2.8 ATX Pro DX II. It is best for Nikon D7200 with ultra-wide-angle zoom lens. The f/2.8 is super-bright that delivers a viewing, auto focus shoots in low-light. It also has an internal silent focusing motor that enables the autofocus possible for Nikon bodies. Moreover it possess incredible sharpness level. The Sigma 17-50mm f/2.8 EX DC OS HSM is a standard zoom lens with large aperture. It covers a 17-50mm focal length which is equivalent to 26-75mm. It offers a larger f/2.8 aperture throughout the entire zoom range. It is ideal for all type of photography. The OC, Sigma’s anti-shake feature offers the use of shutter speed for approximately 4 stops slower that would be possible. In addition, the HSM provides fast and quiet AF. There is this Super Multi-layer coating on Sigma 17-50mm that reduces all flares and ghosting. The brightness, contrast images, auto focus are incredible at even maximum apertures. Besides, it has a compact design and solid build. 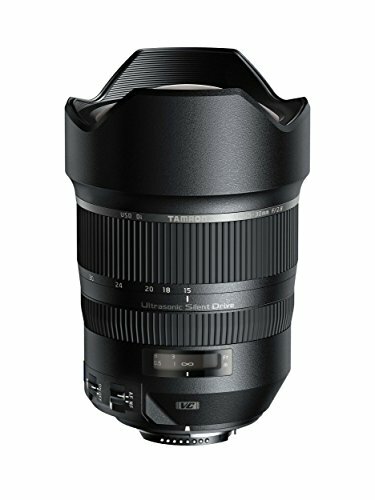 The new Tamron SP AF17-50mm f/2.8 XR DI-II VC LD Aspherical (IF) covers a focal length range of 17-50mm which makes it exceedingly versatile. The performance of this lens is outstanding and works best in low-light shooting and aesthetic image control. It delivers great sharpness and contrast over its entire focal length and aperture range, at a maximum f/2.8 aperture, it produces beautiful images by shallow- depth of field. The new lens of Tamron SP AF17-50mm f/2.8 XR DI-II VC LD Aspherical (IF) is equipped with Tamron’s Vibration Compensation (VC), image stabilization mechanism. It controls any effect of camera shake in three planes. The VC delivers more opportunities for sharp hand-help photography at slow shutter speed, while enhancing the user’s level of freedom for photography. 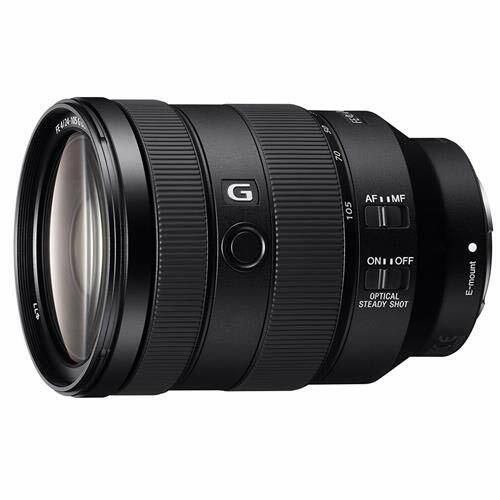 The perfect lens for all- purpose and travel is Sigma 17-70mm f/2.8-4 DC Macro OS HSM. It has a great and macro capable focal length of f/2.8-4, which is equipped with HSM (Hyper Sonic Motor) and OS (Optical Stabilizer) for superior image quality. The HSM delivers fast, accurate and autofocus while the OS ensures the camera shake when shooting. It is simple and user-friendly to satisfy the most demands of users. You can carry the Sigma 17-70mm f/2.8-4 DC Macro OS HSM around you all the time. Nikon 70-300mm f/4.5-5.6G ED-IF VR is a versatile, light-weight and an affordable Telephoto zoom lens. Well-designed for portraits, wildlife, events, sports and general photography. It offers good performance with impressive sharpness of 70-200mm range in particular. Also offers 4.3x zoom and a 35mm focal length equivalency of 105-450mm used on DX-Format. 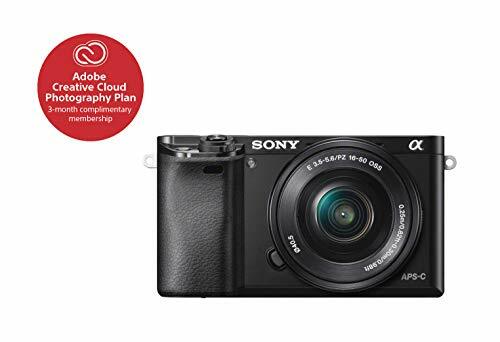 In addition, it provides equivalency of 2.5 shutter speed that stops to help in capturing sharper images in low-light or extended zoom lengths. Another versatile and compact Nikon 55-200mm f/4-5.6F Ed VR II is a telephoto zoom lens for portraitures, events, sports, wildlife and everyday photography. The amazing performance offers sharpness and good quality images with extraordinary zoom lengthy up to 200mm for capturing close-ups on the sport fields, school events and much more. This Tamron lens is excellent with a high-speed standard to telephoto zoom lens as its sharpness is impressive. Tamron SP 70-200mm f/2.8 Di VC USD is most compact, and high-speed telephoto zoom with Vibration Compensation (VC), image stabilization and Ultra Silent Drive (USD) delivers superior mobility, smooth and precise autofocus. It is the best pick for those who consider themselves as Semi-Pro photographers. Tamron SP 70-200mm f/2.8 Di VC USD is considered the most popular because of its consistent output, nice bokeh, rugged and strong construction and is the best in its class. 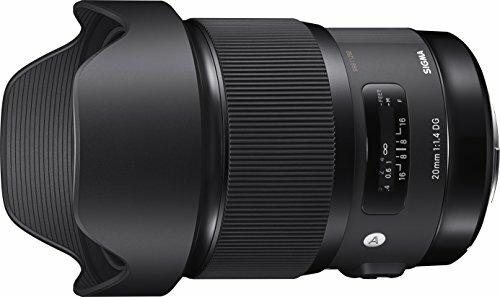 Tamron SP 150-600mm f/5-6.3 Di VC USD is another best with the features of image stabilization, fast and quiet autofocus, advanced lens coating for sharp and contrast images. This lens is best suited for sports and wildlife photography, as well as landscapes. It has a built-in tripod mount for use of tripods and monopods. On an ACP Sensor camera, its focal length is equivalent to 233-930mm. It can capture beautiful close-ups of birds, flowers, sports, travel diaries and surprising sport actions with high performance 150-600mm long range zoom.